Through the years there have been many arguments made about utilizing the resources of the Moon. Many have focused on helium-3, the rare isotope of helium emplaced on the lunar surface by the solar wind. Helium-3, proponents claim, could fuel fusion reactors on Earth, providing bountiful clean energy using only a modest amount of the element. More jaded space advocates, though, tend to guffaw at that claim, noting not only the lack of fusion reactors of any kind on the Earth but that controlled helium-3 fusion would be even more difficult to maintain than fusion reactions that use deuterium or tritium. 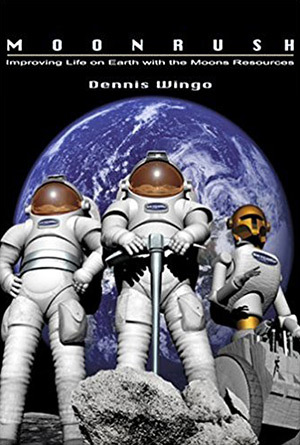 However, in his book Moonrush, Dennis Wingo makes a compelling case that other resources available on the Moon could solve the impending energy crisis on Earth. In the first part of Moonrush, Wingo makes the case for how lunar resources are critical for meeting the increasing energy demands of terrestrial civilization. Most people are aware of the fact that the quantity of fossil fuels, notably petroleum, is finite, and will run out sooner or later. Wingo discusses this in detail in the book, noting that even the most optimistic assessments of petroleum reserves—ones that make assumptions unlikely to be borne out in practice—would be insufficient to get the world through the 21st century. One alternative to gasoline-burning engines currently under active development is the hydrogen-powered fuel cell. Even these, though, have a resources problem that Wingo describes in the book: they rely on expensive, scarce platinum-group metals (PGMs). If the world tries to make the transition from gasoline engines to fuel cells, it could exhaust the supply of PGM elements on the Earth. 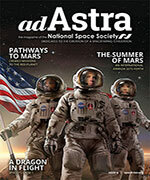 Of course, there is no shortage of such metals in space, particularly in asteroids. The Moon, on the other hand, would seem to be an unlikely place to find PGMs: the collisional process that formed from the Moon left it mostly devoid of heavy metals. However, Wingo makes an ingenious case for finding PGMs on or near the lunar surface, in the form of debris from asteroid impacts. While conventional wisdom has argued that impacts of large asteroids would vaporize most of the impactor, modern computer modeling has shown that a significant fraction of an asteroid impacting the Earth would survive in some form. In fact, some major sources of PGMs on Earth, such as Sudbury in Canada and sites in South Africa, have been linked to asteroid impacts. The Moon’s lower gravity would mean slower impacts, making it more likely that significant portions of asteroids could survive. PGMs mined from those impacts could meet the fuel-cell needs of the Earth for centuries; the mining process would, in turn, also generate other metals like iron and nickel that could be used for settlements on the Moon and beyond. Once Wingo demonstrates the viability and need to exploit the Moon’s resources, he turns his attention in the second part of Moonrush to the history of lunar exploration. 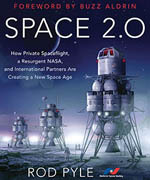 This review starts with the early history of the Space Age all the way through the present day; he even includes a mention of the “Lunar Express” proposal publicly unveiled just last month to use Soyuz spacecraft for circumlunar missions (See “Soyuz to the Moon?”, The Space Review, August 2, 2004.) This section is very thorough and filled with insights and tidbits of information not found in most over reviews of lunar exploration, and could very well stand on its own as an extended review article. The final section of Moonrush—relatively brief compared to the first two—offers Wingo’s proposal for sending humans back to the Moon to look for and obtain PGMs. This proposal is largely drawn from a number of proposals from the recent past, augmented with innovations in robotics, such as a robot derived from NASA’s “Robonaut” concept but with the wheels and control system of a Segway. Moonrush is a thoroughly researched, compelling book that argues that the resources of the Moon are critical to the survival of civilization. However, there are a few flaws. The book, unfortunately, lacks an index and a bibliography, although there are extensive endnotes with each chapter. The book also has a number of inconsistencies and inaccuracies with grammar and capitalization, but the book overall is better edited than the other recent Apogee Books publications. A bigger issue with Moonrush is in its discussion of fuel cells. While PGMs are indeed a critical component of fuel cells, another critical component not freely available on Earth is hydrogen. Many fuel cells in use today get their hydrogen from the very same fossil fuels they are designed to replace, either directly or indirectly. If the “hydrogen economy” really is to flourish, a new way to generate hydrogen will be required. Moonrush glosses over this point, including whether space-based resources could be used to provide hydrogen or the energy to create it on Earth. During a talk at last months’ Return to the Moon conference in Las Vegas, Wingo said that eventually fusion reactors on Earth—powered, one wonders, by helium-3—will provide the energy needed to generate hydrogen for fuel cells. Despite these issues, Moonrush is an excellent read. In barely 250 pages Wingo makes a strong case that there are important reasons for humans to return to the Moon, and that past efforts to create sustained lunar exploration have failed because they did not tap into these arguments. As Wingo succinctly puts it, “We go to Mars to take our civilization there. We go to the Moon to save our civilization here.” Moonrush is perhaps the best argument along those lines to date.